STACI JACOBS (Creator/Writer/Actor): Staci is a NY based actor, writer and producer. Staci's indie debut, the live action/animated web series Saving Unicorns, won Best Comedy Short Form at The Miami Web Fest. It also screened at several festivals including the prestigious ITVfest in Dover, Vermont. 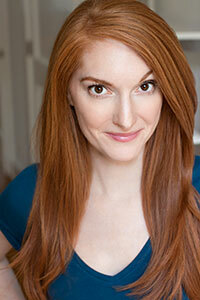 As a musical theater actor, Staci appeared in numerous shows. Her favorites being Titanic, National Tour as well as regional productions of The Full Monty, and I Love You, You're Perfect, Now Change. Staci is also currently developing BEHIND THE CEREAL, a series of web shorts inspired by VH1's BEHIND THE MUSIC television show. When she's not creating, Staci can be found engaging in the always inspiring, hectic and electrifying streets of New York, overseeing business development for The Sokoloff Arts Foundation which creates affordable space for New York City's young artists and entrepreneurs, shaking her booty to any 80s pop song anywhere, anytime and avoiding Adulting as long as she can. MARTINE CHARNOW (Director/Editor): Martine is a bi-coastal director and editor. In 2011, she directed Bike Love, a short film which played at festivals in New York and California. 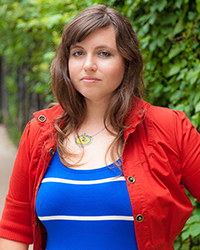 In 2012, she directed season one of the comedic web series, Brunch On Sundays, which was covered by The Huffington Post and quickly gained a dedicated fan following. In 2013, Martine directed and edited Ghost Man, a music video for New York rock band, Blue & Gold, which was selected as video of the week by Pancakes and Whiskey and Video of the day by This Week in New York. To see more of what Martine is working on, please visit martinecharnow.com. 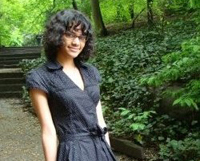 ERICA PEREZ (Animator / Character Designer): Erica was born and raised in Brooklyn, New York. Animating has been her dream since early childhood. As a Pratt Institute graduate, she's worked on shows such as Ugly Americans, Sid the Science Kid, Cartoon Network's "MAD" and The Electric Company as well as apps, commercials and documentaries. In her spare time she likes to draw comics about dysfunctional people. She thinks it would be "super dreamy" to have a ghost-boyfriend. 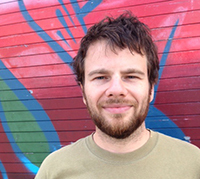 TOBY MILLER (Cinematographer): Toby moved to New York City in 2005 after graduating from film school. Eager to learn cinematography, he would bicycle around the city, look for film shoots, find the electric truck and ask for a job. After being repeatedly turned down, his dedication finally landed him a gig as an additional electrician on an indie film. A few years and many jobs later, he joined I.A.T.S.E. Local 52 where he works on a range of films, TV shows and commercials. His recent credits as an electrician include 30 Rock, Boardwalk Empire and Orange is the New Black. JORDAN SIWEK is a singer-songwriter-pianist who has been playing piano, singing, and acting since the age of 7. 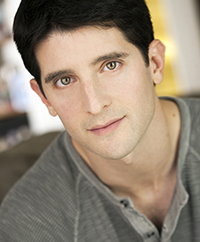 He has acted professionally in numerous productions including Les Miserables on Broadway in its 10th Anniversary Year. 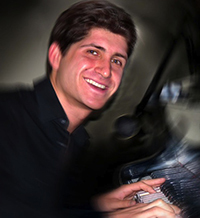 Jordan studied Music, Jazz Piano and Improvisation at SUNY New Paltz (New York) and Kingston University (London). He was the lead singer and songwriter for the band Alpha State, a jazz-rock trio. He wrote the title song for the film Flowers Are For Funerals and the theme song for the webseries "Morning Cup". He is excited to be releasing his debut album of original songs in April 2014!